The information here has been provided by Jennifer, as her recollection of the early days of the SCCNSW Club. Some surnames have been initialised to protect privacy. I guess I’m the ‘spark’ that got things going – the 1972 meeting that asked those interested in Studebakers in Sydney to gather was called for and advertised by me and held at my parent’s house at Carlingford. When matters were subsequently formalised I found myself to be the first Club Secretary with Dale Fisher as President. 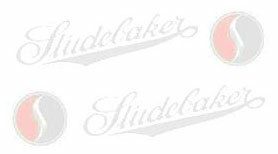 In 1972 I owned a 1950 Studebaker Champion convertible, it was a bit of a lemon really with imitation tail fins and a dodgy gear selector, but my story with Studebakers goes back before that car. My mother had one of the first 1950 bullet-front Studes seen in Sydney, a Champion sedan it was a private import at a time when new cars were still hard to get and she purchased it as new when the chap who landed it couldn’t pay the duty. It’s the first car I remember. That car took us and a caravan over to Perth and back in 1956 and on many other trips, it was a family favourite. Originally Comanche Red, after the Nullarbor trip dad repainted it white below the waist line as it was sandblasted from the gravel roads. 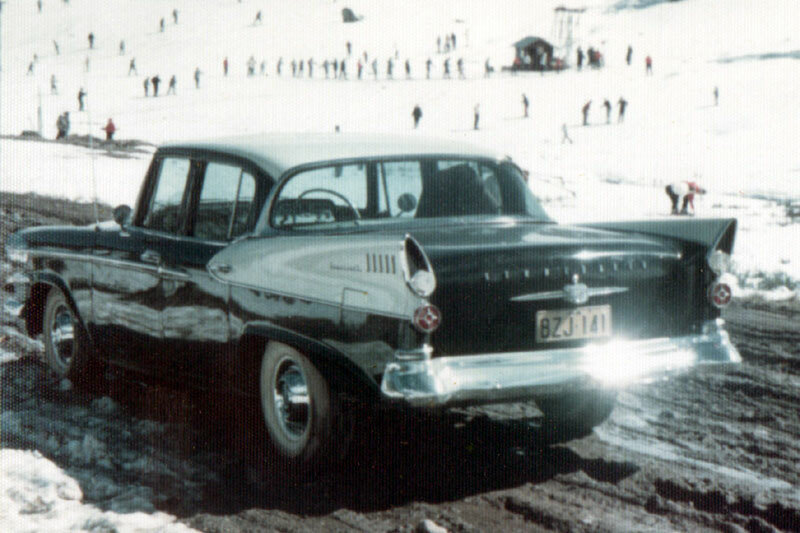 It was traded at Needhams Wentworthville on a new 1958 black and white Studebaker President. Mum was not all that impressed, the President was hardly discrete, not stylish like the bullet-front and she refers to it as “the hearse”. It was replaced in 1962 by a new Torque-Flite Valiant S series, but really she was just waiting for Studebaker to come out with another milestone car like the 1950, and she was quite dismayed when Studebaker closed. Meanwhile in the 1960s I was starting my lifelong association with vintage and collectable vehicles by learning to drive a 1928 Chev around the paddocks. A 1930 Nash sedan came into my possession in 1968 and along with it came involvement in car clubs, concourses, rallies and swap meets. By 1971 and at uni I thought I could just about afford a Gran Tourismo as an everyday drive and potential collectable. On a trip to look at one we spotted the 1950 convertible in a car yard on Parramatta Road. Well, it was like picking up a tired old friend, we knew its faults but bought it nonetheless! So I now had a Stude of my own – but the nearest Studebaker club was in Victoria, I contacted them, joined the Club in the US and both clubs were very supportive. The US wanted me to start a Chapter here and the Victorians offered help with starting a branch – if I remember rightly I put forward both options at an early meeting and the branch idea stuck. But back to that first informal meeting – well it seemed that the only way to gather Stude enthusiasts was to put an ad. in the SMH under Vintage and see who turned up. That’s just what I did and our lounge room was crowded on the night, some people I knew, many I didn’t and most were similarly looking for a local group to support Studebaker owners. An early event I recall was a concourse/display held at Ritchie Benaud Oval at North Parramatta, we had such a great line-up of cars from all eras. The other event I have strong memories of is the National Rally at Cooma – between the Studes and the Cadillac Club, which was also holding its National Rally there then, Cooma was abuzz with fantastic cars. My time with the Club was really quite short due to a serious illness in the family and the demands of my job. The convertible was sold when I decided that I would not get round to restoring it and thought it better with someone who might. 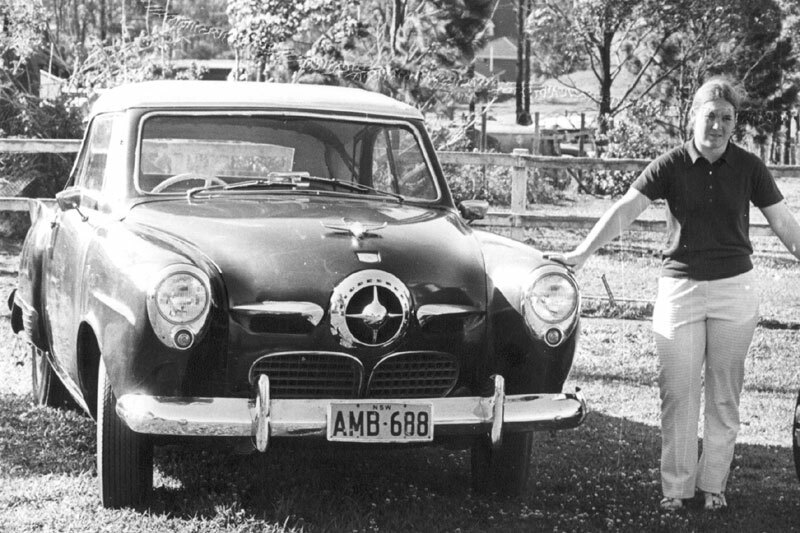 I had some fun with it and it appeared in TV ad.s and the Aunty Jack Show, and without it I couldn’t say that I sort of started the Studebaker Car Club of NSW. I have watched the Club over the years from the sidelines and am proud that the group that kicked off in our lounge room has grown into a club that has not only supported the restoration of many fine cars and but is widely respected in the collectable car movement. - Royce J - who I think lived at Toongabbie and had a really good vintage Stude roadster? - David B - was from Camden/The Oaks/Silverdale way? - Vic B – well known veteran and vintage car collector from Camden, and his son-in-law, the late Ian K.
nos. 129-490 1979:Aug. - 2009:Sep. The 1950 convertible and Jenny. This page last updated 22/11/2012.